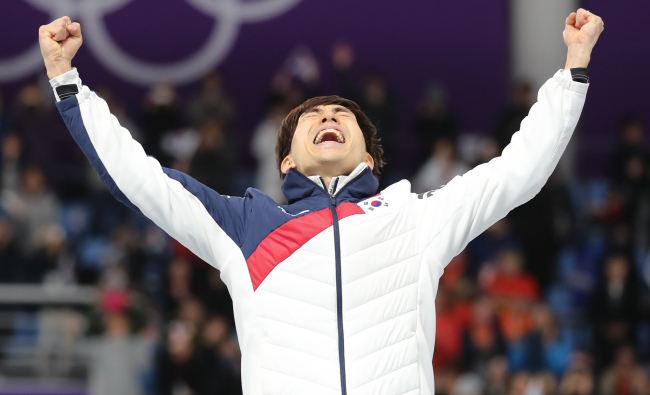 In women's mass start speed skating final just held before Lee grabbed the gold, Korea's Kim Bo-reum won silver in the new women's mass start speed skating, triumphing over a recent bullying scandal. Kim finished second among 16 skaters, following Nana Takagi of Japan. Irene Schouten of the Netherlands won bronze. The mass start is an Olympic competition for the first time at this year's games. Kim made a superb final spurt over the home stretch of the 16-lap race. For most of the race she skated towards the tail of the 16-woman pack, but sprinted over the final circuit to pass all skaters and finish runner-up. 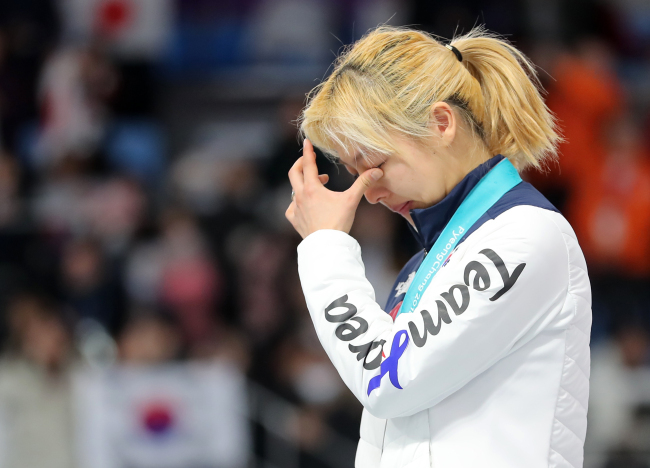 She has been at the center of a bullying scandal that broke out after female speed skaters finished last in the women's team pursuit on Monday. In the event's quarterfinals, the female team of Kim, Noh Seon-yeong and Park Ji-woo showed an apparent lack of teamwork, leaving Noh far behind as the other two skaters finished. She has been under fire for alienating her teammate, and her after-race interview that blamed Noh for the poor result. Some 600,000 South Koreans signed a petition calling for Kim to be disqualified from the national team. Two days later, in the team pursuit classification match against Poland, the home audience remained silent when Kim was introduced on the track. On Saturday, however, her mass start race changed the atmosphere of the Oval. Her last minute spurt received loud cheers and whistles from the home crowd.